OPENLETR — 6 Top Rated Acne Spot Treatment Copycats: Which is the Best? If you suffer from acne at any level, you have probably seen, used, or at the very least heard of sulfur acne spot treatments. These tend to come in small jars with a sediment at the bottom and a liquid at the top. These are NEVER supposed to be shaken nor are they to be stirred. The two-part solution is meant to stay separated in order to work properly. The directions often say to dip a cotton swab into the solution (all the way to the bottom) and apply it on any spot you have overnight for a clear complexion upon rising. BAM! Sounds great. And I am here to tell you they do work. I have tried my fair share of spot treatments, having had dealt with severe acne for most of my life. And these solutions, treatments, lotions, pastes, whatever you want to call them do indeed work. They clear up acne faster than just about anything else. They can be a tad drying, but that is why they are meant to be used as a spot treatment, only on the small blemishes you have. Now that you know what they are, let’s talk about your options. There are popular versions of this spot treatment and not so popular ones. There are also luxury ones and drugstore alternatives. And although they are all marketed in the same general way, used in the same way, and tend to share common ingredients they are not identical. I cannot tell you which came first, but I can tell you which does what, how they are rated, and which is my personal favorite. 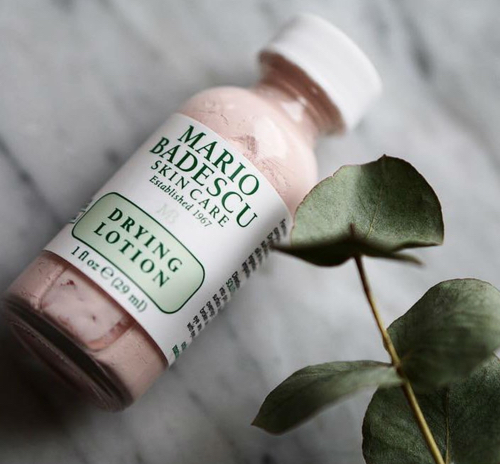 Mario Badescu Drying Lotion is most likely the one you have heard of or may have even tried. It is available everywhere from Ulta to Nordstrom and more places in between. It is also right in that sweet spot when it comes to price. This baby costs $17 and comes in either a plastic or glass jar. This drying lotion has spread like wildfire across the beauty landscape. Anyone suffering from cystic acne, hormonal breakouts, or even just a random spot here or there has likely looked into it and there is a good reason for that. This features salicylic acid, sulfur, zinc oxide, and calamine (yep, that stuff you put on chicken pox). This gem is a best-seller and an award-winner and has been repurchased by yours truly about 6 times over. It is light pink in color, is strong in scent (that is the sulfur) and is amazing at drying out pesky spots. But, with all that being said, it does contain talc, which is an ingredient some are sensitive to and others choose to avoid. If you wanted a copycat, or more nicely, a dupe of the Mario Badescu, this is it. Fourth Ray is a rather new skincare line that is a sister company to ColourPop. It is vegan and cruelty-free and about $5 cheaper than Mario Badescu. 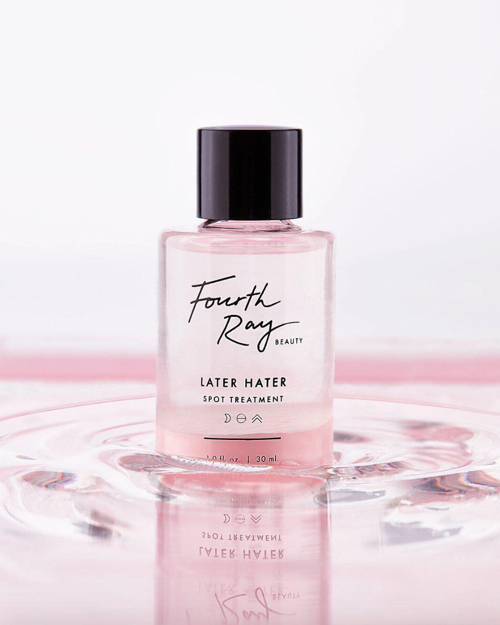 Fourth Ray Later Hater is a two-phase solution, comes with a fun name, and it nearly has identical ingredients to its counterpart from Mario Badescu. This one also contains talc, but differs in that it has titanium dioxide and quartz at the bottom of the ingredient list. The downside is that it can only be purchased directly from the Fourth Ray website. For a more natural take on this sulfur-based acne spot treatment, Shea Moisture has a hand in the game. This one has about double the ingredients of the prior two on this list. But is that so bad? Maybe not. Although it has some crossover ingredients, Shea Moisture’s version seems to pull as much as possible from nature. With ingredients like tea tree oil, cocoa, shea butter and more, you get a nice balance. This also has more moisturizing elements to it to help prevent your skin from over drying and is talc-free for those who have a sensitivity. Now, I have tried this recently and found it works just as well when it comes to treating spots, but is a much thinner consistency than the Mario Badescu and is clearly grey in color rather than pink. If you put this on overnight, it may flake off while you sleep, while the pink alternatives tend to stay on. This is one of the most affordable on the list, and can be found at Ulta stores. So it is up to you and your buying habits. 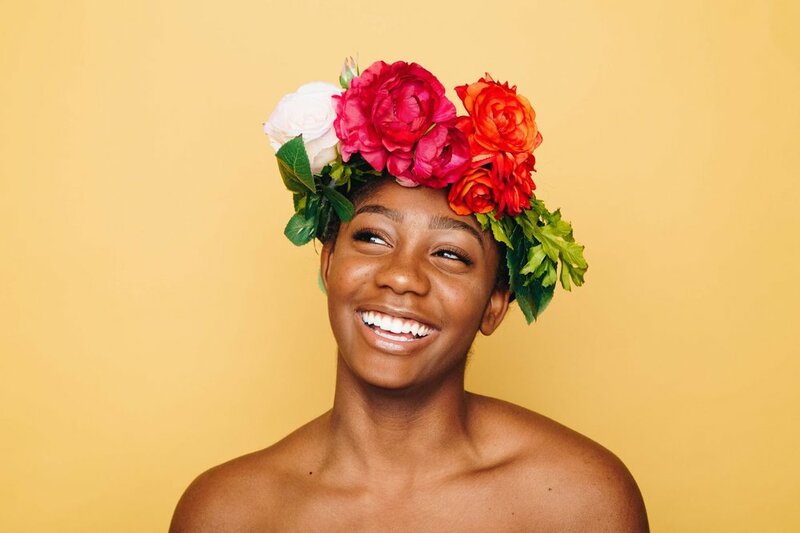 Shea Moisture is a great brand to support as they have a lot of charity efforts, are ethically sourced, and are sustainable. 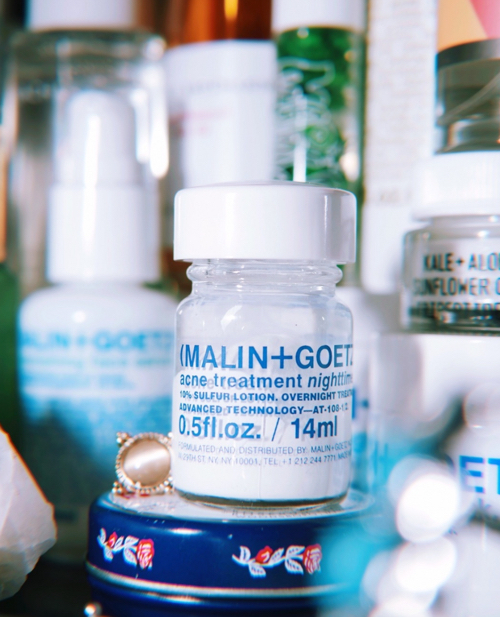 This MALIN+GOETZ treatment claims to do more than treat acne, it also aid in reducing the appearance of scarring. It is more white in color but contains almost the exact same ingredients as our friend from Mario Badescu. This little jar will run you more than $20, but the real kicker is that it contains half the amount of product as everything else on this list. So even though it is highly rated, it makes me cringe a bit when we talk about value. Another almost identical acne spot treatment with nearly identical ingredients to Mario Badescu, Fourth Ray, and MALIN+GOETZ is what I believe to be the OG. With one of the highest price tags as well as the highest ratings, Kate Somerville EradiKate is a holy grail for many. 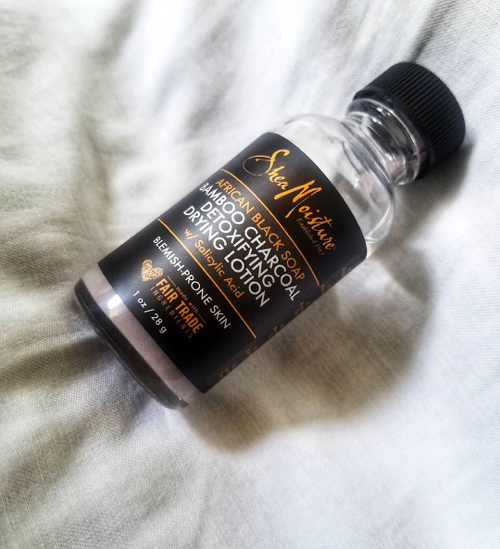 Although it probably won’t give you any better result than the others, you can easily find it at Nordstrom, Ulta, and even on QVC. And if you have that nagging feeling in the back of your head that the more money you spend the better skincare will be, this could be the one for you and your blemishes. Here we go with another acne spot treatment copycat. This one is the most pricey on the list, but features the same key ingredients. I know this really does not matter, but it has the least aesthetically pleasing packaging if you were planning on Instagramming your new skincare buy. It is something to keep in mind. 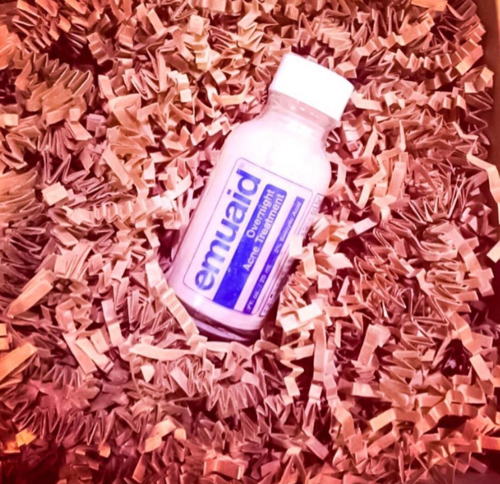 But to be completely honest, nothing from Emuaid Overnight Acne Treatment really stands out to me. This brand certainly has some killer products like their essential oil inhaler and first aid ointment, but at the price, the value just isn’t there. Of course with the same ingredients as the others, it will work just as well, so if you see it and buy it, I am sure you will be pleased either way. Now all these brands have entire skincare lines. Some of them have a larger offering for those with drier or mature skin. So see which brand suits your needs the best by checking what else they have to offer. Or just try one of these at a time, as I plan on doing.